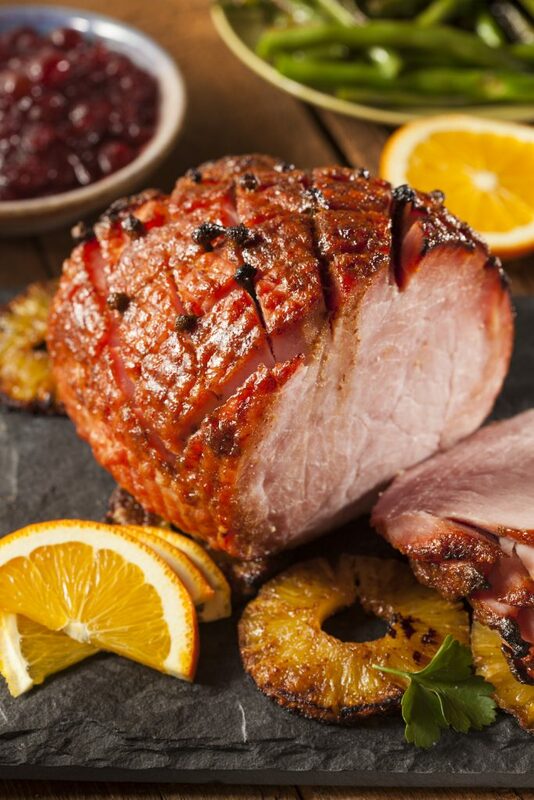 If you’re looking for a Easter Ham Recipe, look no further: this is my very special recipe to prepare an amazing honey glazed ham for Easter, by following chef Gordon Ramsay’s recipe, which is perfect for a Sunday lunches and of course for Easter and also Christmas. 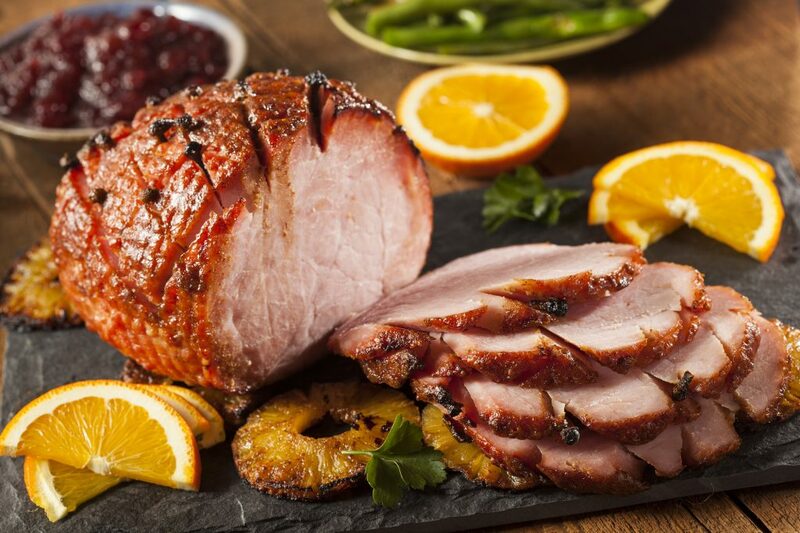 The main thing about this Easter Ham Recipe is the glaze prepared by mixing orange and honey, sprinkled over the ham; once frosted with this glaze, the han is baked in the oven until the outside becomes crispy. The cloves also add something special to this ham, a truly unique taste and smell. To prepare the icing instead of orange juice you can use bitter orange marmalade. Let’s now move to the traditional glazed Easter Ham recipe, to be served with potatoes or even a simple salad. Using a potato peeler, remove the orange peel being careful not to take away the white part then set aside. Squeeze the orange and remove the seeds. Transfer the ham to an oven dish and bake at 180°C for 30 minutes. In the last 20 minutes of cooking spread the surface of the ham with the glaze. Remove from the oven, lay the orange strips on the surface and bring to the table. Instead of orange jam you can use orange juice or even apricot jam. Using a sharp knife, make superficial incisions on the skin of the ham with a maximum depth of 0.5 cm and at a distance of about 1 cm from each other. If possible, make diamond-shaped incisions for an better effect. At the time of cutting, the ham must be placed on a hard surface (a serving plate is not good) and should be cut using a long and sharp knife. It is necessary to make a clean cut so as to obtain homogeneous slices, which include both the meat and the outer crust. Why Do in the United States People Eat Ham on Easter? Ham is traditionally eaten at Easter in the United States because in the past pigs were usually slaughtered in the fall and since it was cold and the meat wasn’t ready before Easter time, it became common to eat ham to celebrate Easter.